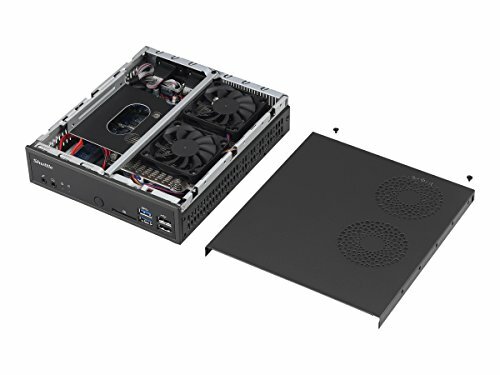 For high-performance vertical markets, Shuttle launched a new 1.3L slim PC DH170, equipped with Intel H170 chipsets support the latest Intel 6th generation Skylake LGA1151 65W processors. With Intel built-in graphics engine, DH170 can support 4K/Ultra HD video playback, allowing a large digital signage application. The DH170 provides multiple I/O ports and high-speed storage interfaces, including USB 2.0, USB 3.0, SATA 6Gbps, RS232/422/485, M.2, and Mini PCIe. It is capable to support three independent screen displays via two DisplayPort and one HDMI. With only 43mm thick and VESA mountable, the DH170 is easily integrated into diverse business environments. The DH170 is approved for 24/7 non-stop operation with high stability. Use a mere 90W adapter is sufficient to normal system operation.